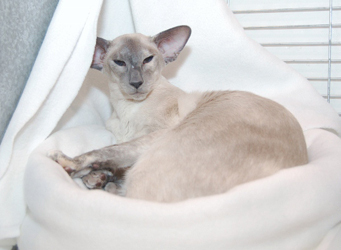 Our Siamese cat gallery below is a selection of Siamese pictures of many fantastic Siamese cats that are found behind many of the show and breeding cats of today. This will be a trip down ‘memory lane’ for some of our more seasoned breeders and a real eye opener for our novice breeders. We have some fantastic cats from the past who we may find at the back or perhaps just a little further back on our pedigrees and we also have some cats that many of us will still find at the front of our pedigrees. We hope you enjoy our gallery as much as we enjoyed putting it together. This gallery has been put together with the help of many of our breeders and judges and Siamese Cat Breeder would very much like to thank them all for their contributions. We have some rare photographs of some fantastic cats but we would very much like to extend the gallery. If you have any photographs of cats that you feel should be included on this page please contact our webmaster who is eagerly awaiting your photographs. We would love to hear from anyone who has any suggestions and more importantly pictures of Siamese cats from the past that deserve a place on this gallery. The gallery is open to any Siamese cat that has played an important role in the pedigrees of today or indeed was a fabulous show cat and ambassador for the breed.